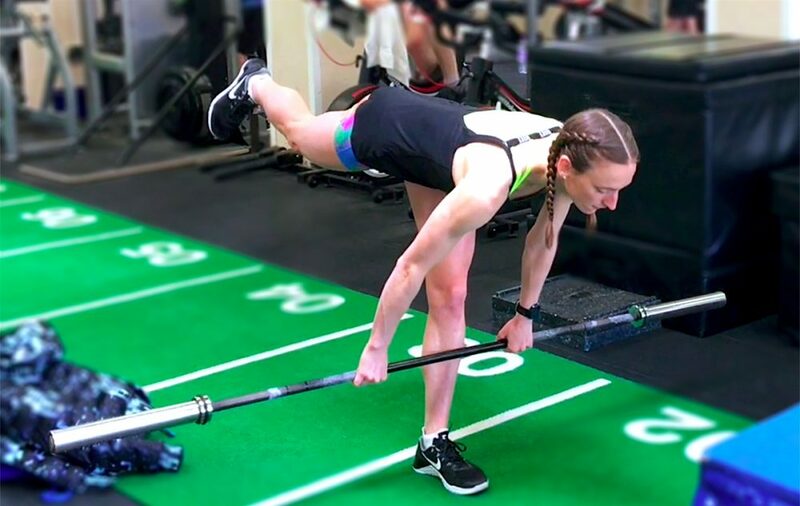 Two-time Olympic finalist and European 1500m bronze medalist Laura Weightman explains why a runner should include strength and conditioning in their training program. 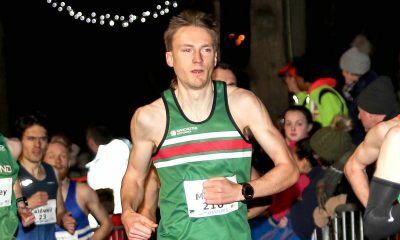 Endurance runners can spend most of the week clocking up miles and miles and often neglect strength and conditioning training (S&C) – particularly the strength side. Furthermore, there still seems to be the belief amongst some of the endurance community that weight training should be left to the power athletes only. But as a 1500m athlete, I can tell you it is no steady jog (unless you’re a decathlete) and the event requires the ability to be able to turn the gas on at any time. In 2018, I have a new challenge and will experiment with the 5000m at the Commonwealth Games. 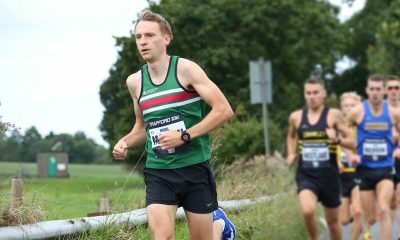 However, overall I plan to still focus on the 1500m, and compete at that distance at the European Championships in the summer. Looking at the strength and conditioning work I do, I have several essential sessions across my training week which are non-running based that go alongside my running workouts. I enjoy the non-running based workouts as it’s a chance to mix with other athletes (sometimes from different sports), work on my weaknesses, and have a change of scenery. Some athletes may not enjoy this other side of training, but I find it creates new challenges and keeps things interesting. To dispel popular beliefs, S&C isn’t just about throwing big weights around the gym and searching for that bikini body in time for summer. For me, it’s not limited to the gym either, and my program includes drills, plyometrics, rehab/prehab exercises and a weights program which all combined develop my overall performance. 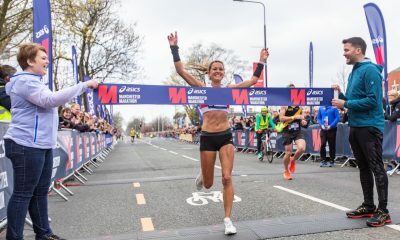 My strength and conditioning training sessions compliment my overall running program and that gives me that edge for when it really counts at the business end of the sport – racing. In the 1500m final at the 2017 World Championships, I moved from 9th to 6th place in the last 100m. I believe the strength I showed during the rounds and in the final (particularly the last 100m) is a testament to the additional work I do alongside my running program. However, ‘the basics’ are often overlooked by athletes who do not value the importance of non-running based training. So what strength and conditioning sessions are included in my training week? Sunday and Wednesday are the days for my two key weights sessions. A lot of endurance runners like to lift on the same days as their big running sessions, with the theory of making the hard days hard and the easy days easy. However, I find I respond well to lifting on Sunday and Wednesday, instead of the days I do key running sessions (typically Tuesday and Saturday). But, you should remember that every athlete responds differently to training so you need to ensure any training session is tailored to the specific needs of the individual. My weights program is set by Dane Mitchell, the Head of Strength and Conditioning at Leeds Beckett University. I studied at the university and I have used it as my full-time training base since graduating in 2013. I have been working with Dane for a couple years and his sessions are great. I am really beginning to see the benefits – which doesn’t happen overnight. My program includes a range of lifts such as cleans, squats and deadlift variations (see video above). Furthermore, I have additional weighted and non-weighted exercises such as step ups, split squats, lunges, box jumps and hip thrusts. In addition, I also do a range calf, core, plyo and balance exercises in between my major lifts. Another key person who I work with is endurance coach Andy Henderson. He oversees my overall program and sets my strength and conditioning outside of my weights program. When I first arrived in Leeds in 2010 as I could barely do a single drill. Andy had a lot of work to do and after a lot of repetition and a little patience, I quickly improved. I think it’s importance as an athlete, regardless of your ability, to recognise your weaknesses and do everything in your power to improve them. Mondays – This drills session consists of a range of running drills ranging from dynamic stretching drills, walking drills, skipping drills to balance drills. These drills will progress over the year and there is plenty of variation. The main factor underpinning these is repetition (correct repetition). Part of drills is to teach the body good movement habits which will hopefully transfer into your performance come race day. 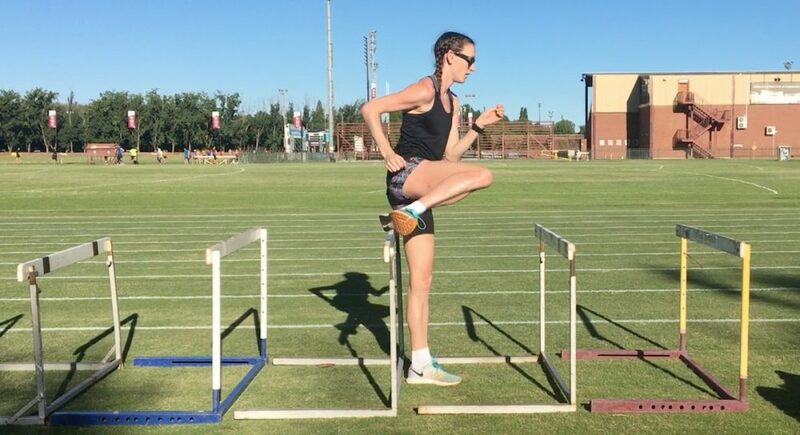 Thursdays – I will begin with dynamic stretching drills and walking drills, then I will move onto hurdle walk drills. I go through a range of hurdle walks forwards, backwards and sideways. I find hurdle-walks helpful as they work on several key areas such as hip action, mobility, balance and correct ground contact. As I progress during the winter, these two sessions are adapted to include more specific plyometric-based exercises. These include single leg ankle hopping through a ladder (multi-directional), mini hurdle jumps and bounds, large hurdle jumps, bounding on the grass/mat and box jumps. Plyometric training is fun and can be progressive so anyone can try it. It’s just important you don’t get carried away and overdo it. Fridays – This day has been nicknamed Friday’s bums and tums and it is an extra supplementary gym session where I do some additional core and glute exercises – hence the bums and tums. Also, this session includes a lot of balance work as I have weak ankles and I am always falling over (even on immaculate surfaces). I really enjoy this session, it’s fun, and it gives me chance to have a catch up with Andy at the end of my training week.